Absorb the inimitable ambience of Budapest, at the very center of the city, overlooking the heritage Fashion Street or the sweeping panorama of Pest’s fin-de-siecle sprawl past Erzsebet Park, from the cool comfort of your bright room. Experience the sophisticated luxury of the Kempinski Hotel Corvinus, its bold modernity and signature five star services. Enjoy a smorgasbord of seasonal specials and sublime sips in the Lobby Lounge and Bar, our signature, award winning breakfast, weekly specials and evening fine dining in Bistro Jardin, or sample dishes prepared with passion in Ristorante Giardino, Budapest’s top Mediterranean restaurant. In the warm season, sit where fashion sits: soak in some sun on the ultra-chic Fashion Street, on the Kempinski Terrace or our new Fashion Lounge. Savour Budapest’s best of international cuisines prepared from the season’s freshest at the Kempinski Corvinus’ top restaurants as our expert chefs present creative menus of old favorites and new gourmet treats, complete with a sensational wine and drink list. Toil and spoil your body in the Asian-accented Kempinski SPA, featuring a choice of the latest fitness equipment, Asian massage therapies, Babor beauty treatments, and sensory diversions such as sensation showers, single and double, heated pool, saunas and a health bar. Toil and spoil your body in the Asian-accented luxury Kempinski SPA, featuring a choice of the latest fitness equipment, Asian massage therapies, Phytomer beauty treatments, and sensory diversions such as sensation showers, single and double, heated pool, saunas and a health bar. Calm. Care. Find relief from urban stress and the daily grind, replenish your life force while pampering your senses in the Asian-accented Kempinski SPA. 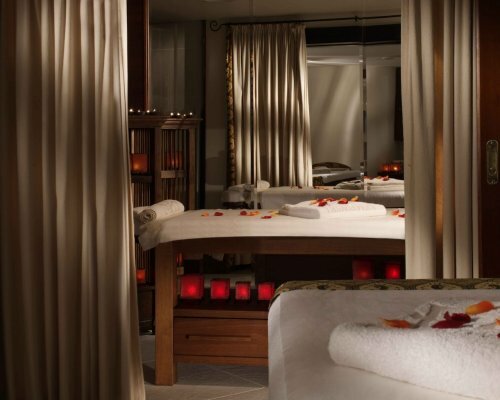 Soothing or invigorating, a host of massage therapies help you relax, release tension and regenerate your strength. Rejuvenate and reshape yourself with the latest beauty therapies with instant results. Take advantage of the world’s most advanced body shaping and anti-aging medical aesthetic solutions at our exclusive Beauty Salon at the Kempinski Spa! Work out a sweat for a better body, better health. Overlooking the bustling city, train and exercise in fitness center using the latest fitness technology or swim in the heated pool with counter current jets, neck massage stream and bubble bath effect. Personal training is available. Artistic delight and intellectual curiosity unbound, explore contemporary Hungarian art in the Kempinski Corvinus’ own Kempinski Gallery, and discover cutting edge local talent in regular temporary exhibitions, appreciate the Collection’s permanent pieces there, in your suite or in the public areas. Fashions in luxurious fabrics, pricelessly precious accessories in gold and diamond – a treat, a surprise, a gift. An appreciation for the finer things in life. Browse for ideas or pure pleasure in Bulgari & Chopard, Rene Lezard, Men’s Fashion, Women’s Clothing, Leather Fashion and Cigar Tower. Immerse in the countless sights and landmarks across Budapest. Liberate your senses in its many museums, galleries and theaters. Free your mind from worry in its lush parks and hills, and curative thermal baths. You’re in Budapest. The Kempinski Corvinus’ ideal location downtown Budapest, its many flexibly separable venues and ballroom for meetings, conferences and exhibitions, state-of the-art technology, world-class catering and room capacity, and a committed as well as creative banquet team guarantee success for your event. That’s our signature luxury: perfection. The celebration of love requires precise planning – and a place capable of delivering all the little things that make your wedding day special, unique and unforgettable. Overwhelmed by romance, emotions running high in a celebration of love. Families and friends gather to rejoice in your happiness. Match the occasion with the Kempinski Corvinus’ striking space, its singular contemporary luxury. Leave the planning and organization to our event planners. Rely on our chefs to serve creative menus in the awe-inspiring foyer, taking in the Hotel’s full ceiling height. Dance the night away in the grandiose Regina Ballroom. Spend a night in the sensational Suite…and the day after, meet up over our award-winning brunch in Restaurant Giardino or enjoy the Kempinski Spa’s signature couples treatments. Lots of light, lots of space, lots of luxury, lots of Budapest. Absorb the inimitable ambience of Budapest, at the very center of the city, overlooking the heritage Fashion Street or the sweeping panorama of Pest’s fin-de-siecle sprawl past Erzsebet Park, from the cool comfort of your bright room. 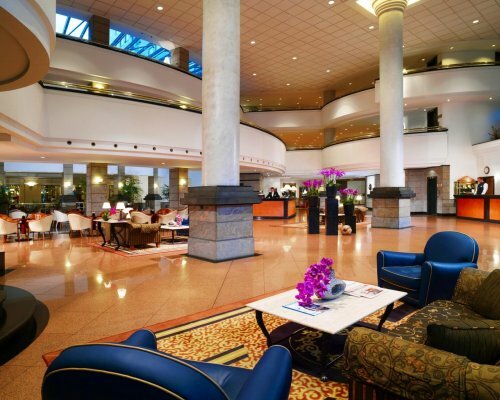 Experience the sophisticated luxury of the Kempinski Hotel Corvinus, its bold modernity and signature five star services you expect plus more (like free WiFI). 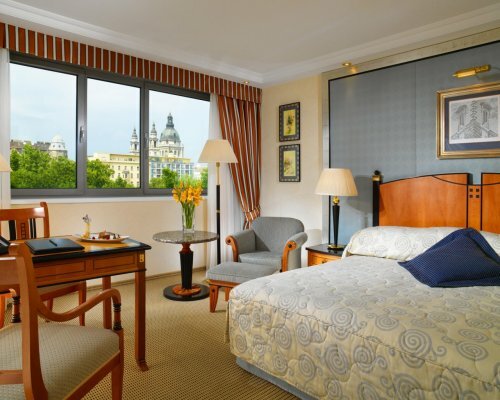 Your luxury rooms in Budapest awaits you at the Kempinski Hotel Corvinus Budapest! Enjoy generously spacious and luxuriously outfitted rooms in the Kempinski Hotel Corvinus, at the very heart of the city. The elegant flair of all 326 rooms boasts contemporary accents, with the needs of the discerning traveler, business and leisure, promptly served. Work or relax, the Kempinski Corvinus’ Superior Rooms provide extra inches for comfort in the city center with bright and large bathroom. 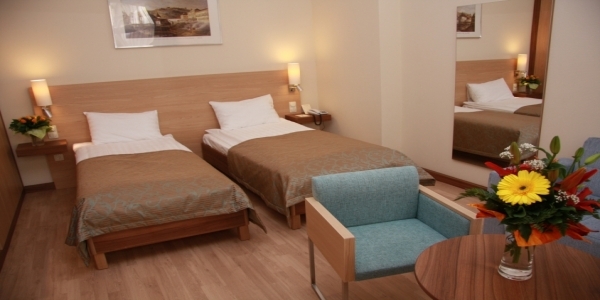 Stretch out and enjoy the views of the chic Fashion Street, the stunning Budapest city center or Erzsebet Park. 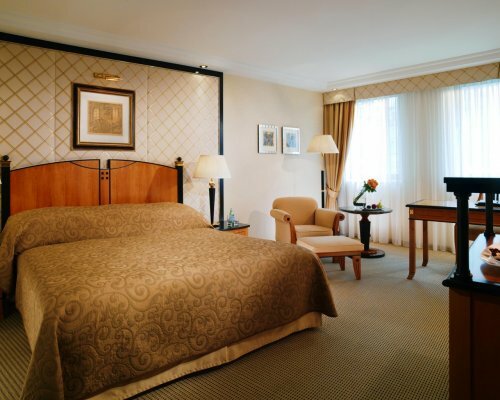 Even more space for the day and night’s comfort to work or relax in the Kempinski Corvinus’ Deluxe Room. 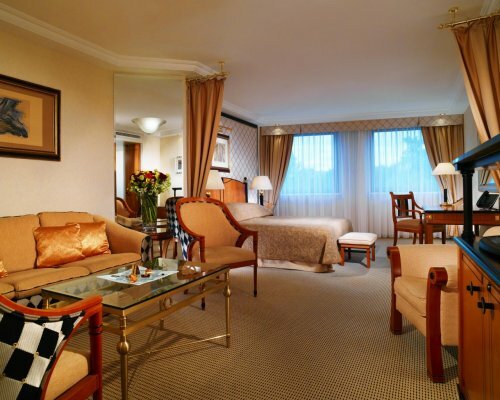 Stretch out and enjoy the views of the chic Fashion Street, the stunning city center or Erzsebet Park. Live, work and entertain in generously spacious and lavishly outfitted, natural light-laden suites in the Kempinski Hotel Corvinus. The recently refurbished elegant flair of all 33 Suites boasts contemporary accents, with the needs of the discerning traveler, business and leisure, promptly served. Wake up to the caress of the rising sun in the natural light-filled Junior Suites, which offer the luxurious comfort of a home away from home and striking views over some Pest’s most spectacular heritage buildings in Budapest downtown. 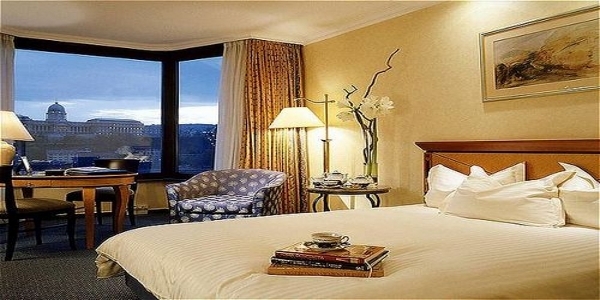 The room is optically separated into a bedroom and living room and features trouser press. Never a dull boy or a dull girl, you will have plenty of room for both work and play in the Parlour Suites. They feature a living room and a bedroom, each with its own bathroom, for work and privacy. Make an impression. Put the solid table to good use and hold a private dinner in the Suite of the “Corvinus Suite Collection”. These suite feature a modern bedroom and luxury bathrooms, free WiFi, large desk, minibar, 46” LCD TV with infotainment system, HiFi Center, DVD player and pay movies, fully-equipped office with Apple-iMac 21,5-inch desktop computer, beauty desk and a trouser press. Curtains up over Budapest. The Deak Presidential Suite of Kempinski Hotel Corvinus Budapest offers elegance, space and comfort, featuring lavish furnishing, including Hungarian artwork from the Corvinus Collection. 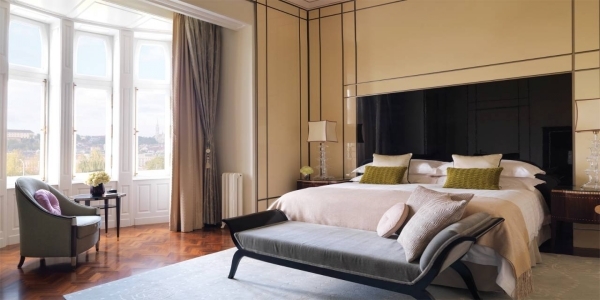 Located on the top floor, Presidential Suite Deak – art deco style- have wonderful views of the city. Second bedroom available upon request at additional charge. Amenities include free WiFi, large desk, minibar, 46” LCD TV with infotainment system, HiFi Center, DVD player and pay movies, fully-equipped office with Apple-iMac 21,5-inch desktop computer, beauty desk and a trouser press. 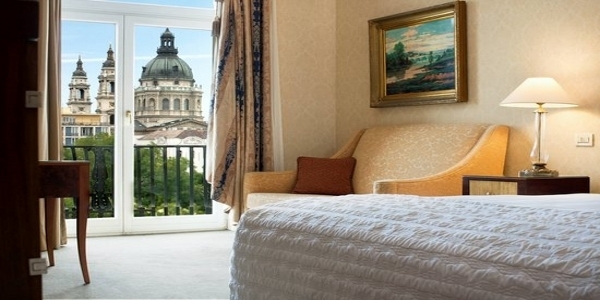 Inspired by Hungary’s Renaissance royalty, King Mathias and his wife Beatrice, the Royal Corvinus Suite commands a stunning view of Budapest sprawling majestically outside your windows, with a rare frame boasting Andrássy út and St. Stephen’s Basilica. The 189-sqm space is outfitted in uncompromised city chic, in hues of black and gold, and adorned with original Hungarian artwork. But the Kempinski experience doesn’t end here: Enjoy personalised butler service, take advantage of your own limousine and individualized amenities. 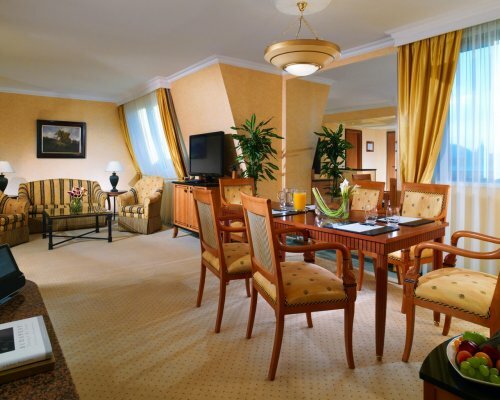 This is why today’s royalty and celebrities prefer to stay at the Royal Corvinus Suite, and relish our regal experience. 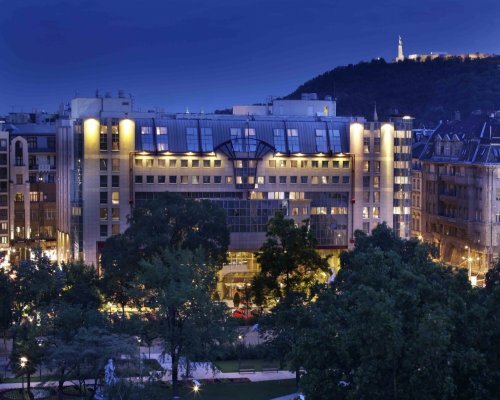 Watch city life pass by at the top of luxury at the Kempinski Hotel Corvinus Budapest at the Royal Corvinus Suite, with the city at your feet. Unique and unparalleled elegance, space, comfort, 300-strong staff at your service, round the clock. 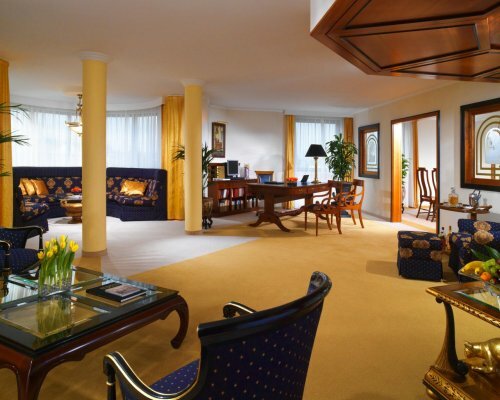 Located on the top floor, Royal Suite Corvinus – classic style- has wonderful views of the city. Amenities include free WiFi, large desk, minibar, 46” LCD TV with infotainment system, HiFi Center, DVD player and pay movies, fully-equipped office with Apple-iMac 21,5-inch desktop computer, safe, individually controlled air conditioning, beauty desk, a trouser press, buttler service and limousine transfer. Second bedroom available upon request at additional charge. Enjoy a smorgasbord of seasonal specials and sublime sips in the Lobby Lounge and Bar, our signature, award winning breakfast, weekly specials and evening fine dining in Restaurant Giardino, Budapest’s top Hungarian and Mediterranean restaurant. In the warm season, sit where fashion sits: soak in some sun on the ultra-chic Fashion Street, on the Kempinski Terrace, Fashion Lounge -F•L Bar & Terrace. The Kempinski Corvinus menus feature the most creative cuisines of the world, including the very best of Hungarian cuisine. From old favourites to new gourmet treats, from quick bites to fine dining rituals, all enjoyed with a selection of great Hungarian and Bordeaux wines. The Best Bites, Super Sweets and Sensational Sips. 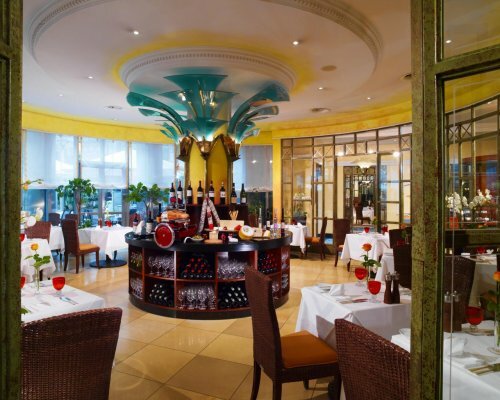 The Kempinski Hotel Corvinus serves up the right cocktail of relaxation, live entertainment and a vibrant atmosphere. Unwind in the cool Lobby Lounge of Kempinski Corvinus, sampling mouthwatering cakes, including the signature Corvinus cake, teas and coffees, traditional and bespoke cocktails, to the sound of piano favourites in the evenings. Our chefs also create special seasonal menus, inspired by the freshest market ingredients and a soupcon of culinary traditions to bring you light bites in between meals. And at the end of the day, when the lights are low, tunes from the piano blend into the buzz of the background, as the discreet bartender mixes you your drink the way you like it, and the atmosphere evokes a warm feeling of delicious nostalgia. Be inspired by the Corvinus Cuisine at Restaurant Giardino – top restaurant in Budapest downtown, offering traditionally prepared local dishes, new Hungarian cuisine with a twist and a light Mediterranean grill menu, accompanied by a vast variety of the best Hungarian and Mediterranean wines. King Matthias Corvinus, the namesake for the hotel,was one of Hungary’s most beloved Kings. He was known as a modern ruler and a gourmet with a passion for the finest and freshest quality. He was married to Beatrice of Naples, who added a glorious touch of Mediterranean flavour to the Hungarian Royal Court. Today, our Corvinus Cuisine is a tribute to Matthias and Beatrice serving traditionally prepared Hungarian dishes, new Hungarian cuisine with a twist and a light Mediterranean Grill Menu accompanied by a vast variety of the best local and Mediterranean wines. The digitized wine menu allows us to present the wine selection in an exciting, informative and impressive way. Be inspired by our Corvinus Cuisine. In addition, the freshest and most exclusive delicacies from all over the world were served for special occasions at the Royal Court. According to this tradition, our culinary team proudly prepares gourmet seasonal specialities in addition to the menu. These are best enjoyed with wines from our extensive Champagne and Bordeaux selection. Breakfast, lunch or dinner, ease into the refined elegance of the Kempinski Corvinus’ Restaurant Giardino – earned awards for its buffet breakfast and Sunday Brunch, legendary throughout Budapest. The adjacent Kempinski Terrace, overlooking the pedestrianized Fashion Street is open from early Spring till late Autumn weather permitting. Serving everything from breakfast, coffee and ices to candlelit dinners. 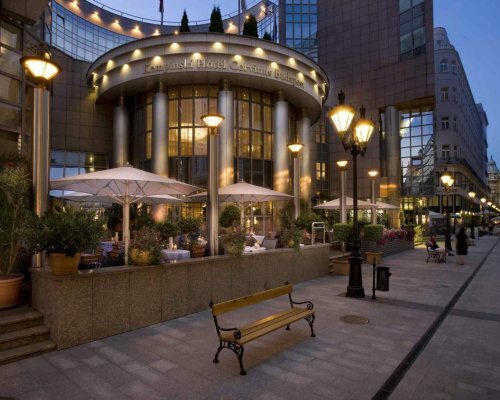 Nobu Budapest is the first Central-European member of Nobu’s worldwide dining empire conveniently located in the Kempinski Hotel Corvinus, in the very heart of Budapest. Enjoy and explore Nobuyuki Matsuhisa’s New Style Japanese cuisine where traditional Japanese techniques are redefined by South American flavours. The restaurant is well worth to visit if you are keen on tasting Nobu’s world famous and special signature dishes such as the Alaskan Black Cod with Miso or the Yellowtail Sashimi with Jalapeno. Nobu Budapest welcomes guests with 80 seats including a private room of maximum 18 seats and the sushi bar while the Nobu Lounge Bar accommodates guests with separate menu card and a wide Nobu Signature Cocktail selection. 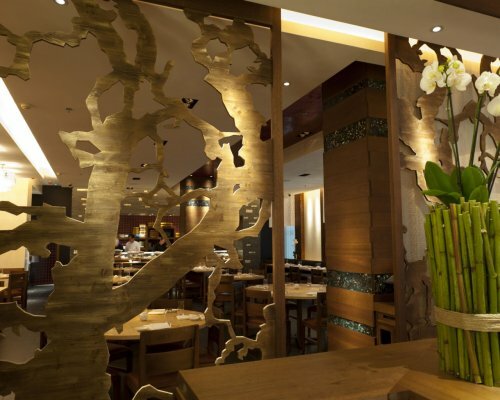 Reservation is recommended in order to make sure you can enjoy the Nobu experience! Chill out at the ultra-chic Kempinski Fashion Lounge – F•L Bar & Terrace, where light meals, salads and the coolest drinks for hot days are served under open skies. Where the jet set sit – Spend the sunset with our Music Sommelier every Wednesday from 7 pm to 2 am featuring groove music from around the world: sit down to see and to be seen on Budapest’s most fashionable street and enjoy the summer with your friends. You don’t have to leave home to enjoy Budapest: absorb yourself in the sweeping vistas of Pest’s waking hours, day buzz or night-lit cityscape and savour the Kempinski Hotel Corvinus’ top restaurants’ scrumptious soupcon of delicacies from our Hungarian, international and Italian menus. Stay in, in the privacy and comfort of your home away from home, dial room service and enjoy every bite of your long breakfast in bed, late lunch or candle lit dinner at your own tempo on top of the town, on top of the world. A charming chocolate night or a meal to the tunes of Hungary’s 100 Member Gypsy Orchestra? Or a romantic tete-a-tete to make the moment super sensational? For those very special moments that mean the world to you but the world doesn’t need to see, consult our chefs for a bespoke menu that suits the occasion just the way you need or want it. Themed meals or unique events, the restaurant services of the Kempinski Hotel Corvinus Budapest will do the thinking, cooking and entertaining – only for you and your companions.